Pest Solutions are highly trained and experienced Bedbug Specialists and are able to quickly and effectively bring infestations under control. Bed bug (Cimex Lectularius) infestations are on the rise in the UK and around the world. For decades, this country was largely free from this pest. In the 1940s, widespread use of potent insecticides such as DDT almost completely eradicated bed bug activity. In recent years, though, these formerly trustworthy products have become less and less effective, leading to increased incidences of bed bug activity. We have now reached a point where these bed bug infestations are becoming one of the leading pest issues across British towns and cities- especially in low-income areas. Even local councils are struggling to cope, which just goes to show how far-gone this issue has become. Why Are Bed Bugs Coming Back? For centuries, bed bugs were a huge problem across virtually the entire world. It was only with the advent of powerful pesticides in the twentieth century that these infestations could be effectively dealt with- before that, they proved to be almost indestructible. However, around the mid-1990s, bed bugs started to become more common again. There are a number of theories about why this is happening. Some believe that it is due to those strong pesticides being banned by governments across the world, whereas others theorise that the bed bugs themselves have become resistant to these treatments. Whatever the cause, the consequences are clear- bed bugs are back and causing the sort of havoc that most people thought had been left behind in the 1940s. Bed bugs are widely accepted within the pest control industry as one of the most difficult pest species to effectively control. For that reason, it is important that you get the right advice and treatment, or infestations can continue for years. If even a few of these tiny insects are left behind, then they can easily reproduce and cause a widespread infestation all over again. Fortunately, the Pest Solutions team are all experts in treating bed bug infestations and can therefore help you to tackle even the most extreme bed bug problems. Our highly trained and experienced bed bug specialists are experts in not only understanding the behaviour and biology of this pest but also in the best ways of stopping an infestation in its tracks. It’s not enough to simply kill the bugs present since it is almost impossible to destroy every last bed bug in an overall population. This means they will quickly return, and you will be right back where you started. Instead of entering into a never-ending pest control cycle, our technicians can provide you with expert advice to help you take steps to aid the treatment process. By making changes to the environment that the bed bugs live in, the pests simply won’t want to live there anymore- thereby allowing you to keep them at bay for good. While there are a number of DIY bed bug treatments that people use, few, if any, of these, are actually effective. They may get rid of a number of bed bugs, but they rarely deal with the root cause of the infestation and therefore only work in the short term. 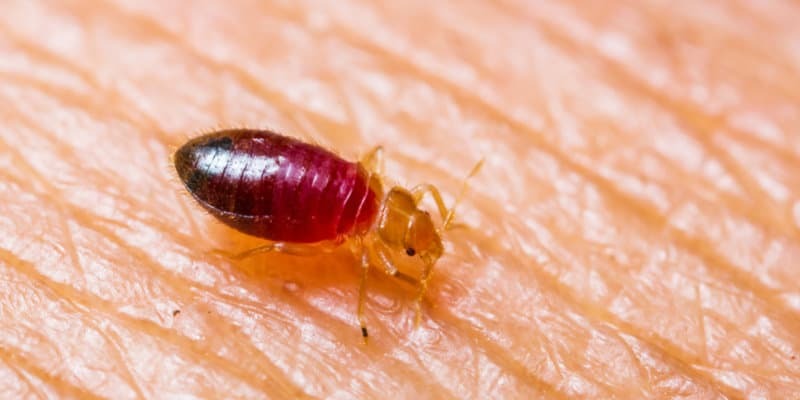 On the other hand, Pest Solutions’ bed bug specialists are equipped with the latest products, equipment and training to make sure we rid you of this blood-sucking pest. 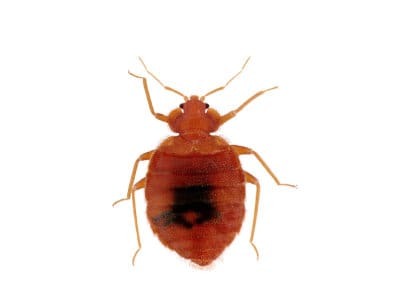 We understand that a bed bug infestation is extremely distressing to homeowners or tenants and potentially devastating to businesses in the hospitality industry. For this reason, we are always highly discrete with our work and ensure that the problem is dealt with as quickly as possible. Call today for a free survey or information on training for the hospitality industry, to reclaim your home or protect your business. Pest Solutions are the domestic pest control experts, so you can count on us to always get the job done. To get rid of that unwanted pest today simply call Pest Solutions on 0800 027 2555 to arrange a FREE survey or a service call out. Our professional and discrete technicians are ready to help and advise you to ensure that your peace of mind is restored. Don’t let a bed bug infestation take control of your property. Instead, contact Pest Solutions now to wipe them out for good.